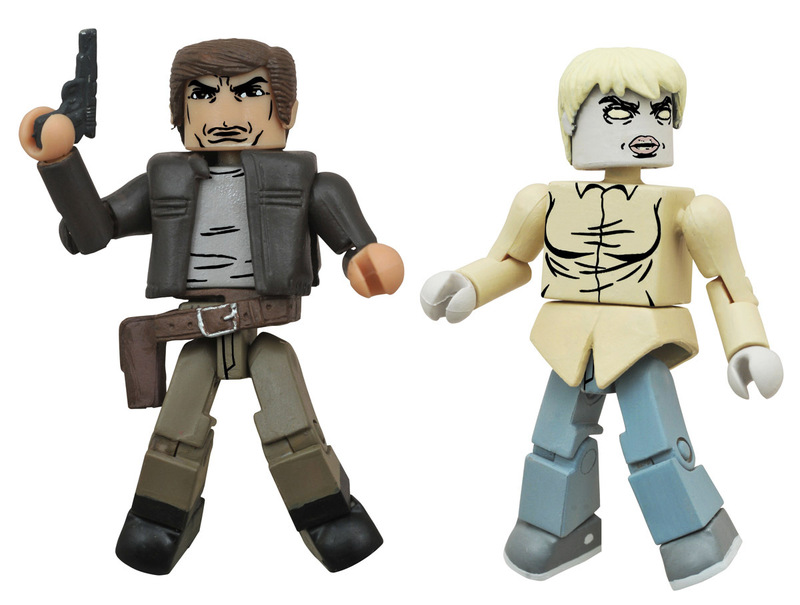 The newest series of Walking Dead Minimates is here, and this time it's war! Featuring characters from more recent issues of the hit comic book series, this assortment includes three different two-packs: Rick with Jesus, Negan with Dwight, and Marauder leader Chris with Zombie Holly, plus a one-per-case variant set of Scavenger leader Derek with Zombie Holly. Each 2-inch Minimate mini-figure features 14 points of articulation and interchangeable parts and accessories, including an alternate head for Holly.